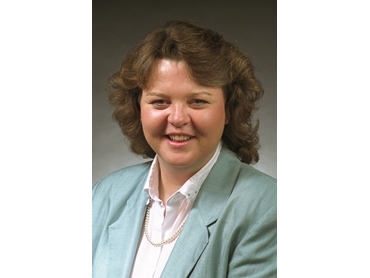 Chantal Polsonetti is Vice President, ARC Advisory Group. The concept of an "Internet of Things" (IoT) has morphed from its origins in RFID to one that encompasses all networked devices, both within and external to a manufacturing operation. Along with intelligent sensors and machines, IoT encompasses cloud computing, analytics, Big Data, mobility, and universal visualisation. Improved business performance, production efficiency, and asset optimisation remain the core objectives for manufacturers to implement this technology. In a manufacturing context, these objectives are achieved by gathering data locally from the myriad of sensors, devices, machines and other entities operating on the plant floor. This data is then made available globally via a cloud or similar infrastructure platform to all sanctioned parties for use in analytics, optimisation, and a variety of other applications. The push to adopt an Internet of Things in manufacturing coincides with a concurrent enabling trend toward use of industrial Ethernet and wireless network technologies within the production environment. These technologies not only offer incremental benefit over dedicated automation solutions in many applications, they also favourably position manufacturers to support the data transfer requirements inherent in IoT. Industrial Ethernet networks have sustained a continued downward march in the industrial automation hierarchy. Originally viewed primarily as an IT technology best suited for enterprise-level applications, Ethernet's potential to provide a single network technology for use in vertical and horizontal integration throughout the enterprise, plus its improved industrial performance, make it increasingly popular. The network is now a staple at the control level of the automation hierarchy, with most suppliers offering an Ethernet-based control backbone. 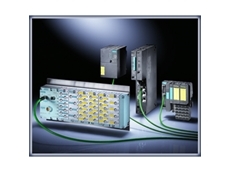 Numerous I/O and device- level products are also available. Both manufacturing engineers and their IT counterparts now have years of experience with the IEEE 802.11 Wi-Fi wireless standards. Most manufacturers have already established best practices for its usage in their facilities. 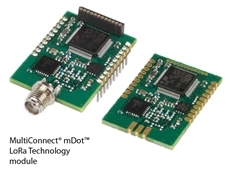 These COTS-based wireless networks are widely used throughout production operations and the digital oilfield, whether to support mobile devices, in-plant material handling, location tracking, safety, compliance, or multiple other uses. Manufacturers already recognise the incremental advantages these networks provide compared to dedicated automation networks, particularly for data delivery. Ethernet and wireless both offer bandwidth greater than most dedicated automation networks and largely rely on established standardisation organizations and a large supplier base for continued development. Ethernet in particular has shown its ability to reliably deliver the right data to the right place at the right time, while manufacturers are broadly applying cable-free wireless instrumentation to address business challenges ranging from improved process performance, reliability, and efficiency to conformance with government mandates. The enabling infrastructure behind the Internet of Things is composed of intelligent sensors and machines, data delivery networks, and cloud or similar platform computing architectures that support analytics, massive data base management systems, and any number of applications. This infrastructure is designed to support the data gathering, analysis, and presentation necessary to improve production efficiency and performance, optimise asset utilisation, ensure safety and compliance, and generate incremental gains in these and other areas that were not previously achievable. A core concept behind the IoT is that minimal potential currently exists for improvements at the device or machine level. Instead, this more holistic approach contends that the potential for more robust improvements that incorporate all the potential variables and elements lies at the system level. IoT also promises to support real-time decision-making that incorporates real-time information, rather than the typical reliance on historical data. One of the further lures behind the IoT concept is the promise to enable new innovations in products, processes, and procedures throughout the enterprise. IoT data and analysis can be remotely accessed via PCs, laptops, tablets, consoles, handhelds, smartphones, other machines, for both process improvement and sources of innovation. As an extension of this concept, many current and future products and activities will migrate into services offered by both in-house and external providers. This is already true in areas such as machine or fleet maintenance, where external suppliers provide remote services reliant on local data. One way to view the IoT is as a progression or step-change in integration that provides multi-directional access to a massively collaborative environment, potentially enabling continued improvements in business performance and innovation. Migration toward the IoT will require manufacturers to continue to mandate compatibility with COTS-based networks when specifying new sensors, machines, or systems. Ethernet and wireless networks will form the bedrock of the IoT architecture and, fortunately, many specifiers are already familiar with their use in production equipment. In general, plant floor sensors, devices, machines, and systems will be required to transmit their data to the cloud computing platform for analysis and then be capable of accepting real-time feedback from the analytical engine(s) for performance improvement. The ability to access production data from within the typically tiered production architecture will be a major consideration. Security of plant floor operation is a major concern when such an integrated, network-dependent concept is raised. Multi-directional access control strategies will be paramount, as will continual monitoring and threat defences. Again, many manufacturers have experience with these issues through their adoption of Ethernet and wireless networks and have security provisions in place. Automation suppliers now offer their own firewalls and other security products and more standards are becoming available in this area. The IEEE 802.1x standard supported in many Ethernet switches, for example, offers port-based network access control.